Well-run contact centres constantly strive to engage their agents, optimise their KPIs and delight the customer. But if you are still running your contact centre using software on your own servers, you run the risk of being out-flanked by the competition no matter how strong your operational performance. Why is that? 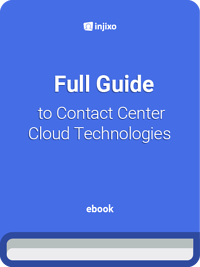 Contact centres which have already transitioned into the cloud are offering their services at lower cost and are able to react more quickly to changing customer demands – and that’s a real competitive advantage. If you are stuck with high costs and inflexible systems, you are going to lose out. Customers don’t care how many carefully installed equipment racks you have, or how sound your disaster recovery plan is, nor do they care how much you spent on software licences. They judge you on product, price and quality of service. If you don’t meet their expectations, they will take their business elsewhere. Let’s look at how contact centres that embrace the cloud will steal a march on those who don’t. 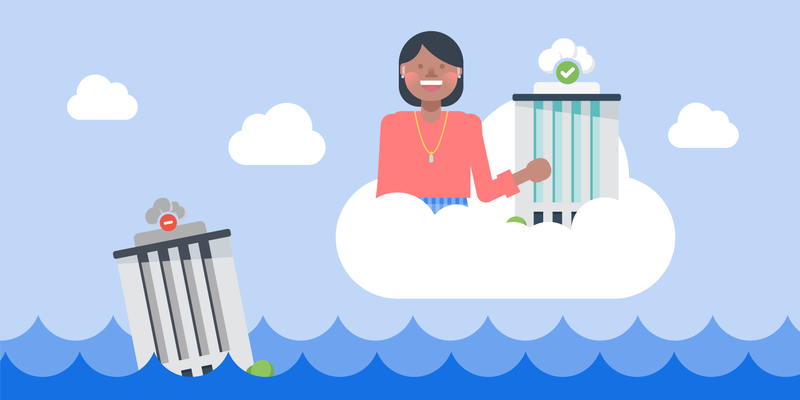 Here are five reasons why you should consider cloud technology in the contact centre. Technology is a massive cost to a business, and will either act as an enabler to success, or a hindrance. Cloud software costs less - often a lot less - than the on-premise equivalent. How do the cloud vendors do that? First of all, cloud vendors get the economies of scale that flow from a secure multi-tenant architecture. They deliberately strip out waste by streamlining and automating processes that add no value for the customer. They don’t have sales reps on commission. They don’t have a company lawyer to negotiate impenetrable contract terms. They don’t have hidden, complicated price lists. Instead, the pricing is simple, transparent and revealed on their website. For a true cloud vendor, the price will be ‘batteries included’, with no hidden extras; setup, onboarding, upgrades and ongoing support are all rolled into the monthly fee. And being based on monthly payments with no long-term lock-in, cloud applications are normally OPEX (operating expense), not CAPEX (capital expenditure). However, not having any software in place can be also really expensive. When you buy on-premises software, you size the hardware according to your current or expected business volume. As you grow, you’ll need to revisit this topic and that means another IT project. In the cloud you have instant scalability. Huge computing power is available to you without the need to purchase additional hardware. You focus on the needs of your business instead of managing your internal IT real estate. When you need to expand, the computing power is instantly available to you. Cloud applications are described as ‘Software as a Service’ for a reason. True cloud vendors charge on a pay-per-use basis; you get an invoice each month based on your usage in that month. You need to scale up for a new client or for peak season like Christmas? Your monthly payment goes up. But when you scale down after Christmas or if the client doesn’t renew, you scale down your cloud payments as well. Compare that with traditional on-premises software licences. You have to buy perpetual software licences for your peak numbers - and pay maintenance on the peak numbers. You can’t scale back down, you are encumbered with licences you don’t need and maintenance fees you don’t want. Setting up multiple sites? Cloud software can seamlessly be used across multiple sites without the need for complex networks or VPNs and it enables organisations to offer more flexible remote working access. The cloud fundamentally changes the relationship between the customer and the vendor. A monthly service model means the vendor is always focussed on ensuring you get the best possible value from the software – otherwise you can simply end the relationship. This contrasts with paying up-front for software, leaving you with the burden of making it work. With traditional software, the relationship often reduces to a break/fix communication pattern, only interrupted when a salesperson turns up to ask you to renew your annual maintenance agreement. On the other hand, the OPEX payment model of the cloud means the risk moves from purchaser to the vendor. You simply engage with the cloud software vendor and sign up for the service. If the software or company does not meet your requirements then you can simply walk away at any time. This gives the vendor a strong incentive to make sure you get what you need from the application – and to be scrupulously honest about product functionality before you sign up. This is a bonus reason. When cloud applications first launched, there was concern about the security of data when stored off premises. In fact, cloud infrastructure companies offer some of the highest levels of security, resilience and privacy available today. Replicating this internally would add considerably to the already large cost of software and hardware. It would also mean that you become responsible for maintaining this system and ensuring that the security, failover and backup work as advertised. Are you offering home working to your staff? With on-premises applications, they will need to go through the company firewall to log in. That’s a genuine security concern. On the other hand, if your home workers are securely logging into a cloud application, there’s no need to breach the firewall. [READ] Why your call center needs WFM technology. The call-to-action is clear: If you have yet to begin your cloud journey, it’s time to start now. Rather than do it all at once, look across your company for a business unit to act as an internal pilot. Pick a unit where there will be an easily measurable business benefit or metric, spend some time on the internet researching some cloud solutions and jump in. Remember the risk is with the vendor and it’s in their interests to make sure your pilot project is a huge success. Convince with your Cloud WFM Business Case.